Most tourists visiting Louisiana arrange their itineraries around New Orleans. But although this exciting and unique city is well worth the trip, the state boasts many other attractions. 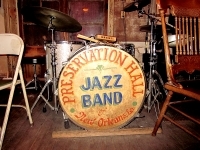 Beyond the Big Easy, Louisiana maintains the joyful, hedonistic spirit that made New Orleans such a global favourite. The city's good music and good food found across the state. Baton Rouge, the capital, is a worthy sightseeing destination, with a number of acclaimed museums and historic buildings. The old plantation mansions in the surrounding area are evocative reminders of Louisiana's history and many examples are well preserved and maintained as living museums. The alligator-filled bayous still have a strong pull on foreigners, ideal for a boat ride. Those looking for a road trip through the state should drive the Great River Road, winding along the Mississippi River. The river itself passes through New Orleans and Baton Rouge, as well as many of the most impressive antebellum plantation homes in Louisiana.